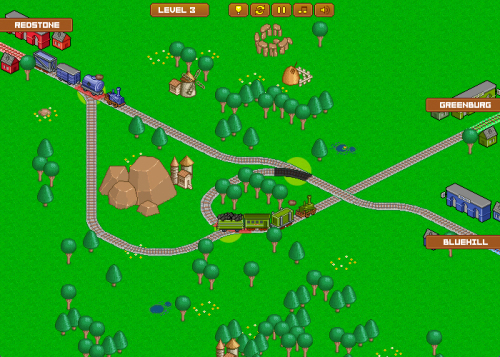 Description Old-school train managing puzzle game in the best traditions of Railway Valley series! You will find 20 really fascinating and challenging levels. But every mistake can become fatal, only railroad manager with steel nerves and flash-like reaction can cope with it. Click on railroad switches to shift them. Prevent train crashes.